Rwandan High Commissioner to Nigeria, Amb. 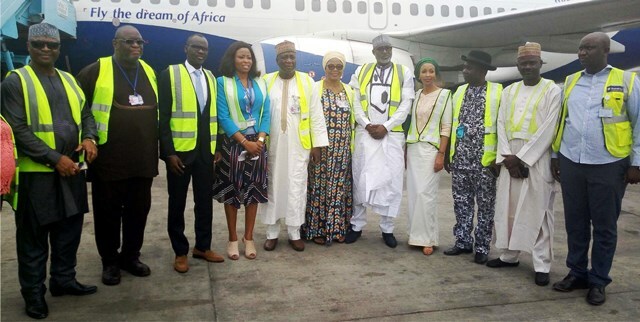 Stanislas Kamanzi (3rd left); Country Manager for RwandAir, Miss Ibiyemi Odusi (4th left); Regional Airport Manager, Nnamdi Azikiwe International Airport, Abuja,Mr Sani Mahmud (5th left) and others during the inaugural flight of RwandAir on Abuja-Kigali Rout last weekend. The River State Government has urged the Minister of Transportation,Rt. Hon Chibuike Amaechi to show statesmanship and use his position to sort out numerous issues that have been him doing the development of Port Harcourt International Airport Omagwa, rather than playing politics with everything. Commissioner for Information and Commination, Barr. 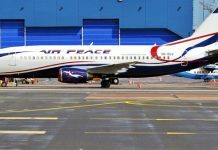 Emma Okah, who disclosed this to newsmen at the Port Harcourt airport, shortly on arrival from Abuja, Tuesday, noted that other airports in Nigeria are beehives of business activities but the Port Harcourt airport is different. He said that Amaechi as an Inner caucus member of the Buhari administration and Transportation Minister has nothing to tell Rivers people that the people are still using canopies on arrival at the Port Harcourt airport, under his watch. “Over the years, we have had stories that the arrival terminal building will be completed, but up till now the roofing has been seeing it as he uses the airport. 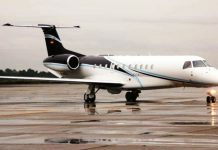 “Port Harcourt airport, as it is now, is a ridicule in the eyes of the International community, yet the Minister in charge is from this State, and an inner caucus member of the present administration,’’ he said. The Commissioner who was reacting to an earlier Statement made by Amaechi where he berated the Rivers State Governor, Nyesom Wike for not living up to his responsilities in many areas, said that the Transportation Minister has nothing to show Rivers people as his own effort to attract development to Rivers State from the Centre. “We should ask him what he has brought to Rivers State as an inner caucus member in Buhari’s government. By his position, the state governor is not supposed to cry for anything from the Federal. “Must he play politics with everything? Amaechi should attract goodies to Rivers State. Let him stand up and tell Mr. President of completing the Port Harcourt airport. Let him sort out problems at Port Harcourt airport. “Why will other States be getting something and River State is lagging behind and this is the place resources are taken from to the Centre. “The East-West Road is still not completed. Let him tackle the Port Harcourt Port problem. Why is he happy that we are not getting Federal Government projects in Rivers State , yet he is a stakeholder here and others are attracting projects,’’Okah queried. On the issue of black soot, the commissioner posited that the State government had done its part and acted on the report of the committee it set up, but the part that is for the Federal is what they are trying to engage the security operatives to make than see the need of using alternative methods of dislodging illegal refineries in the State. Okah said NNPC and Security are under the control of the Federal Government and maintained that the cooperation of everybody, including Amaechi is needed to end the soot issue, rather than looking for whom to blame and whom not to blame.